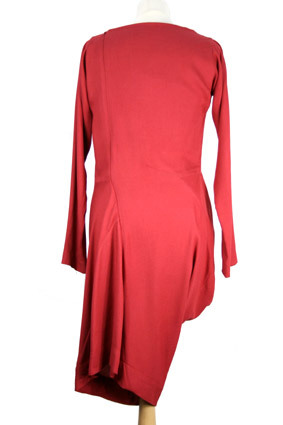 Vivienne Westwood Anglomania 'New Fond' asymmetric, long-sleeved dress. Soft cowl neck. Folded fabric detail on right side. Lovely dress in a great fabric.